Samsung 2017 flagship, the Galaxy S8 is going to have a lot of new features for , including a brand new design as well as new software tweaks . An all-screen design, better AMOLED display technology, a fingerprint sensor embedded in the screen, a courageous USB-C port that will replace the traditional headphone jack, an iris scanner, a 10nm processor, more RAM, an autofocus selfie cam, and a virtual assistant that will compete with similar products like Siri and Alexa. A short while ago , Samsung bought the company behind Viv, a virtual personal assistant that’s expected to find a home in next year’s Galaxy S8. The voice assistant responds to queries like Siri, Google Assistant, Alexa, and Cortana. Interestingly, one of the co-founders of the company that Samsung purchased also co-developed Siri for Apple, so Siri and Viv would be siblings of sorts. But Samsung might not be able to use Viv’s personal assistant because it competes directly with a Google voice service that should be available soon on Android. That’s Google’s search service, either it’s called Google Now or Google Assistant. Samsung is in a very tight spot right now. The company wants differentiate its phones and make them appealing again following the untimely fate of the Galaxy Note 7. But a patent sharing deal the company signed with Google in 2014 might prevent Samsung from using Viv on the Galaxy S8 and other devices next year. On the other hand, an angle the analyst didn’t address is that Google wouldn’t look very good forcing Samsung to ditch Viv. News of Google preventing partners from competing against Android core features would be difficult to dodge. That said, there’s nothing set in stone about the Galaxy S8 at this point. Samsung is reportedly being extra careful with the handset following the Galaxy Note 7 recall. 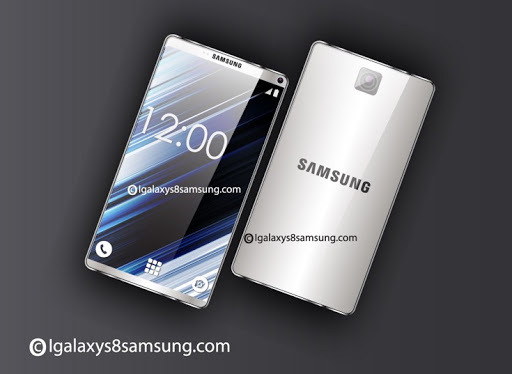 The new Galaxy S flagship should be unveiled in late February and hit markets in the following months.